See that gap on your bookshelf, those empty kilobytes on your eReader? They are ready to be occupied by this new anthology of adoption reunion stories that just came out, edited by Laura Dennis (whom you’ve met on this blog before). 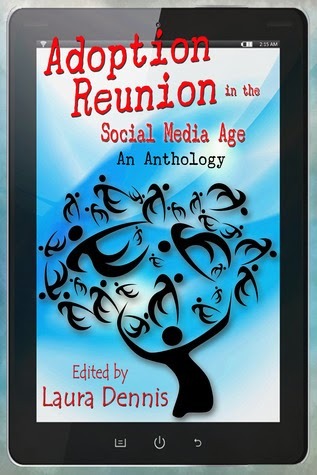 Available now in eBook (less than $6) and paperback, Adoption Reunion in the Social Media Age: An Anthology is a must-read for anyone involved in adoption, especially adoptive and adopting parents who wish to hear from possible grown versions of their children who have traveled an adoptee’s path. More than 20 voices are featured, neither in harmony nor unison nor discord. The experiences they share are varied, the viewpoints unique. You’ll hear about adoption reunion from not only adoptees but also from first parents and even adoptive parents (I contributed Chapter 6, “We Didn’t Want Reunion So We Chose Openness Instead”). Other voices include social workers, therapists, activists, a novelist, a DNA testing adviser and a minister. Speaking of that minister, her name is Deanna Doss Shrodes, and I have the pleasure to interview her about her chapter, “When a Reunion Isn’t a True Reunion.” Deanna writes regularly at Adoptee Restoration, and you can read an excerpt from her chapter by clicking there. But you’ll have to get the book to read her transformative Casket Chat! Below are Q&A between Deanna and me. And below all that is information on a giveaway of this book. You can also read Deanna’s interview with me. You were able to reunite with your mother and sister and brother, and you are in the midst of a search for your father, with a very hot lead. To what degree do these points in a series of reconnections have in giving you back your pieces, in healing the wounds you have as a result of having been adopted? For me, these connections are huge. The knowledge, without the “reconnection” or relationship is tremendously helpful in itself. As far as the search for my father, the lead we currently have is on a man who is deceased. A lot of people have said to me, “Don’t you hope that DNA proves this man to not be you’re the one, so you will still have a chance that your natural father is alive?” No. Of course I would prefer not to find a grave at the end of a search if I had my druthers, but having some answers is better than having nothing. Right now this man is our only lead. And with this lead, I have found a paternal family that accepts and welcomes me, should DNA prove us related. Even if they did not, just knowing the truth of where I come from is huge. In my personal experience, with every bit of history or truth I receive, another part of me settles down inside. I thought everything about this would be solved when I met my natural mother. It wasn’t. However, a great deal of what was unsettled inside me did settle down. I’ve never expected to find perfection in reunion. I just want truth. Whether it’s good, bad or ugly…I just want reality instead of the fantasies my mind wandered to for 27 years on the maternal side and now 47 years on the paternal. All that wandering gets tiring. Not bragging at all here, but simply to make a point…I’ve accomplished some important things in my life. But I wonder how much more I could have accomplished had I not been constantly distracted by thoughts of the unknown. Every person whether adopted or not will face questions about the unknown. However, adoptees deal with this issue at the very core of our identity. That is not easy and even if you are a Christian, you have a relationship with God and a strong spiritual walk, those questions will roar. A lot. I’m so tired of wondering about those things and wish I could have it settled once and for all. You say “I believe every human being has a right to look into the eyes of the two people they originate from, at least once.” When mediating among competing rights, how does one decide whose right trumps the others’? How should the law (if indeed it is a legal issue — maybe it is more of a moral issue) handle mothers sharing information on the identity of fathers in order to fulfill the rights of the resulting child? The child is the one who is actually adopted. If it’s all about doing what’s right for children, then do that. The law is handled simply by providing adoptees with their original birth certificate (OBC) and requiring that they be provided the names of their original mother and father. Simple as that. I believe this is a separate issue from contact, reunion or relationship. Knowledge is different from all those things. In response to the closed-lips your mother maintained about your father until her death, you have become super-open with your children. Do you think there are any bits of info that a parent might hide from a child, for his/her own good? What are the effects of such secrets on a child? Could that outweigh the possible effects of revealing those secrets on a child, even an adult child? I believe there are things we may keep from our children for their own good that have nothing to do with them. I’m extremely open with my children but I don’t gather all of them together and drop a bunch of information on them that doesn’t touch their personal lives. I don’t tell my kids “everything” in the literal sense. I do not break confidences within my personal friendships or that which regards my job. But if something is about them personally or has an effect on their lives and they are the rightful owners of that information as well as me — then, I tell them. Last year when I was in therapy for eight months, they knew. This affects their day-to-day lives. Children are perceptive and know something is wrong even when we say nothing. Rather than make them wonder, “What is wrong with mom? Why is she crying a lot? Are her and dad fighting? Are they getting a divorce?” and sending their minds in a tailspin as to what could be wrong, I sat them down and told them the truth. I shared what had happened between their grandmother and me, and why I was in therapy. Had they been younger, I wouldn’t have used the same exact words. When the boys were very young, I faced secondary rejection when my natural mother declined to meet me after the confidential intermediary contacted her. I was distraught. I tried to hold it together in front of my two little guys, and most days I succeeded but some days I failed. Our middle son, Jordan, was too young to verbalize or ask what was wrong. He was still a baby in diapers. But Dustin, a preschooler, was so intuitive and verbal and he came out and asked, “What’s wrong, Mommy?” I remember explaining to him in very basic terms that someone I cared about hurt my heart, and this was the reason for my tears. Years later as they grew up they heard the full story. In fact, all three of my children have read my story on the blog even though they already knew the whole thing and lived through it. As they grew in maturity my explanation of things expanded. The question above may imply that your mother kept your father’s identity from you for your own good. But I sense that is not the case, that her reasons were more self-protective. What are some of the thoughts or techniques or verses from scripture that helped you find forgiveness for your mother in your Casket Chat? It’s an ongoing process and I call on God daily for wisdom and strength. He has been faithful to give it, daily. I could share a plethora of things He has imparted to me from the time of the falling out with my natural mother, until now. I’ll pick two. I remember feeling the most intense defeat I have ever felt in my life, when she died. Yes, because she was dead, but also because she died with my natural father’s name. I felt the opposite of Michelle’s declaration at the time. But I held onto it and knew that even without having knowledge of my natural father (yet) I was a victor for who I had become in the process of the previous months. I learned a lot about who I was in 2012 even though a lot of my history is still a mystery. My natural mother wasn’t treating me with kindness during that year, but my therapist reassured me that mounting courage and walking into her hospital room in her final hours was more a statement about who I am than how she was treating me. Deanna Doss Shrodes is a licensed minister with the Assemblies of God and has served as a pastor for 26 years, along with her pastor-husband, Larry. They have been married for 26 years, have three children and live in the Tampa Bay area. Adopted in 1966 in a closed domestic adoption, she searched and found her original mother, sister and brother and reunited with them in 1993. 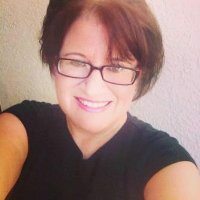 Deanna blogs about adoption issues at her personal blog, Adoptee Restoration, and also serves as the spiritual columnist at Lost Daughters, and well as being a regular contributor at Adoption Voices Magazine. Want more of this anthology? Click over to read Deanna’s interview with me. One eBook is available for giveaway through this post. Please leave a comment below by February 7 and I’ll use random.org to select a winner. Make sure I have your email address to notify you in case you win. Thanks to Pastor Deanna for sharing her resilience, determination and reclaiming. For more posts by and about contributors to this anthology, see below. Several book lovers are sharing our thoughts about Anne Bauer’s memoir, The Sound of Hope: An Adoptee’s Quest for her Origins. Even if you aren’t part of the tour* and even if you haven’t read the book, check out what people are saying about it — you might find that this book is one you want to put on your wishlist. See the master list at the bottom of this post, following my own contribution to this book tour. I grew up in the 1970s when closed adoption was, duh, The Way to Go. Babies were considered blank slates on which parents could etch any template they wanted. Women (and men) who surrendered a child were told they would forget about their babies and move on. They were offered a way to atone for the shame of becoming pregnant out of wedlock — by giving their babies to more deserving couples. People becoming parents via adoption were allowed a way out of the shame and secrecy of infertility. But the shame and secrecy cast a looooong shadow. I did not, in those days, question the closedness of such adoptions. I had friends who had been adopted, and they did not question it then, either. It was what what we knew, The Way to Go. But after I became a mom via adoption, I came to know some adoptees online who did question, who did challenge The Way to Go. Who most definitely knew they were not blank slates. Who sensed that their birth parents did not easily move on. Who challenged the idea that being married was, in itself, the qualification that made for good parents. Anne Bauer’s memoir debunks many of these myths. The concept of “closed” begins as The Way to Go but is revealed to be dark, stifling, shameful and repressive. Anne deals with her inner roiling by seeking light, and her brothers, also adopted, deal with theirs by sinking further in darkness. Her narrative shows the difficulties imposed by The Way to Go of the closed adoption era. I found it an engaging read, and Anne’s tale confirms what I have always intuited about the importance of openness in adoption: it’s essential to help children in adoption integrate the various parts of their identities. * Disclosure: The author has provided compensation for organizing this book tour. In this book tour, we each submitted questions to the others. Here are three questions I chose to answer. Anne writes of her adoptive family, On the outside, we look very much alike. We have the same eye color, the same fair complexion – yes, the adoption agency did its job well. What are your thoughts on how important appearances were at that time (the 1960s)? Have we made progress? What do you think contributed to the change? I can only make assumptions about how matches were made prior to the days of open adoption, in which the expectant parents choose adoptive parents for their baby. Was it simply by who had been waiting the longest, who had made it to the top of the list? Or was there some criteria-matching that was instituted? My guess would be a bit of both. If there were matching criteria, what was it? Anne suggests is was based on appearances. I wonder if social workers would, for example, declare that a baby of northern European heritage would do better with parents hailing from Scandinavia that with parents from the eastern Mediterranean. Really, what else was there to go on? So much about the closed era was about appearances — how things looked to others. How to avoid the judgment of others. How to make a family look as seamlessly created as possible. What’s more, the agency did not do any matching — our children’s first moms did. Crystal looked at the then-available crop of hopeful couples and chose us (well, as her second choice) to parent her baby. Two years later, Michele did the same thing. Their criteria for their babies. What contributed to the change? As we progress from closedness to openness, the locus of control for such decisions is gradually moving from the all-knowing agency to the all-caring first mother or father. But clearly there is still a ways to go. The afterword states that the author wrote her book in the hopes of raising awareness of civil rights of adoptees and instigating reform in the current laws pertaining to adoptee records. With as much exposure as I’ve had to successful open adoption scenarios, I admit I was surprised to learn how few rights adoptees have to their original birth records. Were you similarly surprised to hear how little control adoptees have over their own records? Why do you think it is that this information is not more widely known? I was unaware of the plight of adult adoptees as first, too. Because I was in possession of each of my children’s original birth certificates, I didn’t question whether or not my kids would be able to get theirs on their own someday. According to Colorado law, they will, but only because they were born at an opportune time. But not all adult adoptees born in Colorado can have access to their personal records. People whose adoptions were finalized in the 30-year span between July 1, 1967 and August 31, 1997 — many of the people I grew up with — are SOL. Their records are sealed except via court order. Can you believe that? If your adoption was finalized on June 30, 1967, you have access. One day later, you don’t. If your adoption was finalized on September 1, 1997, you have access. One day earlier, you don’t. How can this be justifiable? Anne speculates that much of her brothers’ problems may stem from their verbally abusive adoptive father. Do you agree? Are there other factors that might have been at work in Thomas’ abandonment of his own young family and Brian’s years of social withdrawal? Yes, I agree and yes, there were other factors that contributed to Thomas and Brian’s difficulties. Besides the verbal abuse from their father, I believe the repression inherent in a closed adoption made both brothers stuff down their emotions. That which we resist persists. If you leave something in the dark and occasionally shovel manure on it, you shouldn’t be surprised if the result is rot and decay. To continue to this book tour, please visit the links below. Comments are much appreciated by the book tourists! We hope you have enjoyed our discussion of the issues raised. Thanks for reading along!